So where were we on this drive across Texas? We stopped in Texas’ Germantown Fredericksburg for a hearty breakfast and a sausage link for the road and made a quick pit stop in Fort Stockton to stretch our legs. 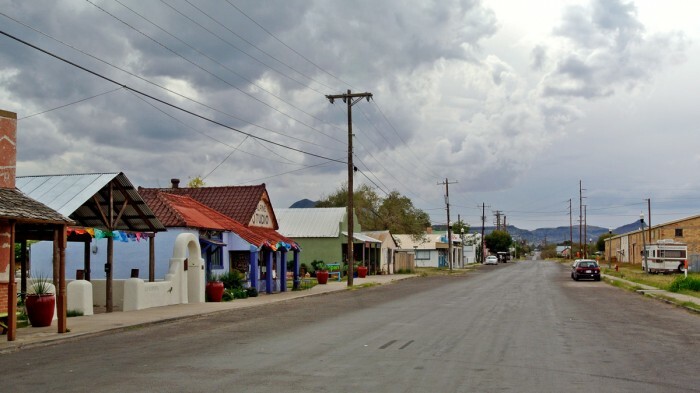 With most of the drive to Marfa already in our rear-view mirror, we finally make it to Alpine for our lunch stop. Amy and I each researched Alpine separately, but both my source, Chow.com, and her’s, National Geographic, led us to the same results. 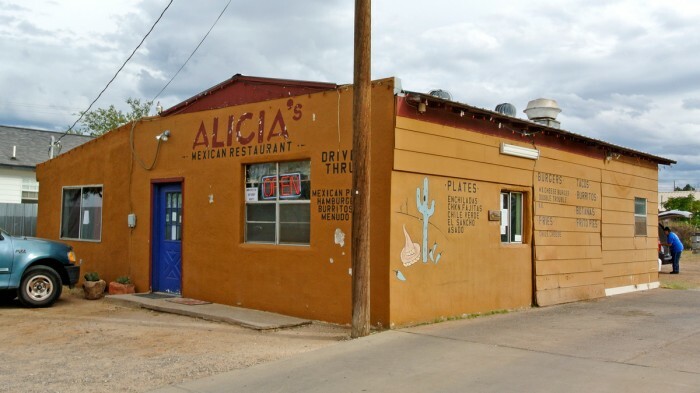 Upon arriving in Alpine, we pull up to Alicia’s, which isn’t even located on the main drag of town (not that the main drag of town is actually busy either). 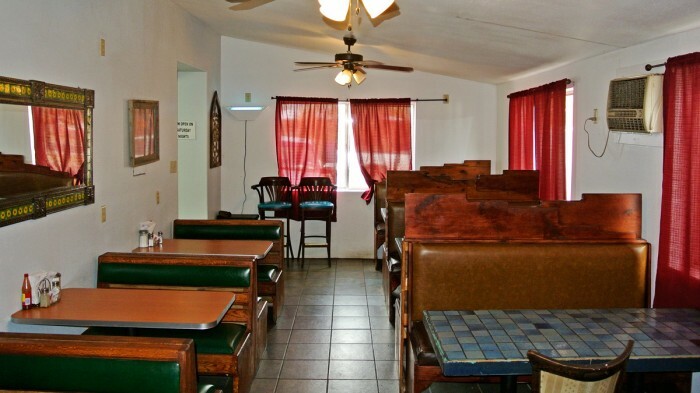 We grab a seat at the counter and look over the many options on the menu. We get to chatting with the woman behind the counter and ask for her advice selecting burrito varieties. 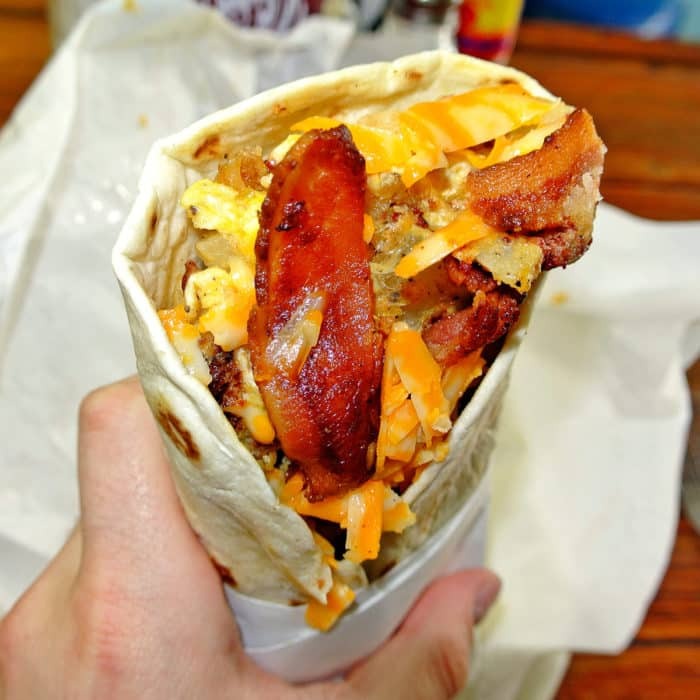 She suggests that the “Heart Attack Breakfast Burrito” is very popular, so I kind of have to get it. Again, I wasn’t trying to pick the most unhealthy item on the menu, it just seems to always work out that way. She also tells us that she works at the hotel in town and “sends a lot of visitors to Alicia’s, even though she knows it’s kind of expensive.” Excuse me? Expensive? I’m ordering the most expensive deluxe item on the menu and it barely costs me more than a fiver. Expensive? I think not. Again, my intentions were not to order the most unhealthy thing on the menu, but she recommended it and so I did what I had to do. As it turns out, it was a wise decision. The burrito came out piping hot, fresh off the grill, fully loaded with every breakfast meat imaginable including bacon, breakfast sausage, ham, and chorizo as well as crispy hash brown potatoes, melted cheese, scrambled eggs, and salsa. With so many things loaded in there, it’s a little tough to get a bite that has everything in it at once, but it really is awesome. I particularly enjoyed the texture of the hash browns and the flavor of the breakfast sausage. 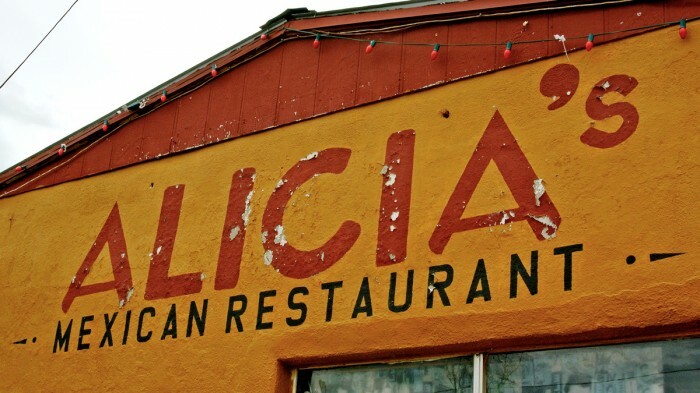 If you find yourself in West Texas, it’s definitely worth a stop. Only two blocks away is the main drag of town. Yeah, this is the busy street. 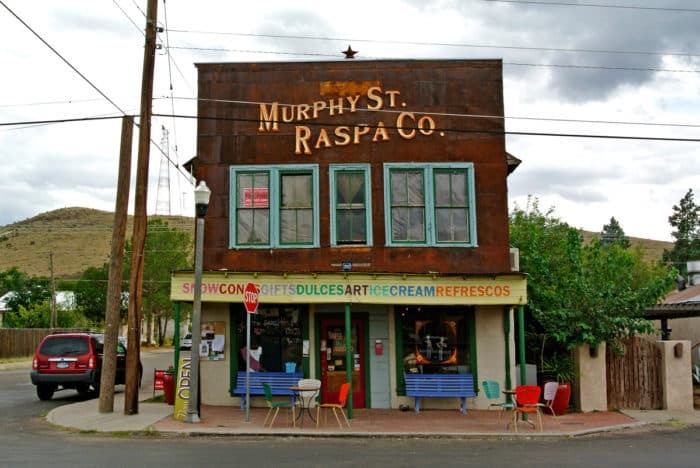 During our research, we learned that there was one more place we had to stop in Alpine called the Murphy Street Raspa Company. 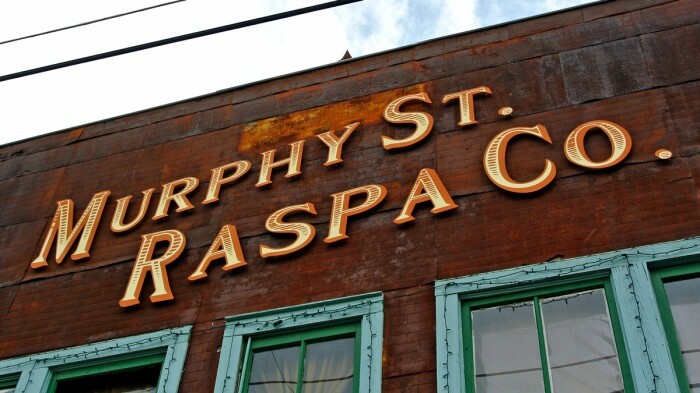 What’s a raspa, you ask? 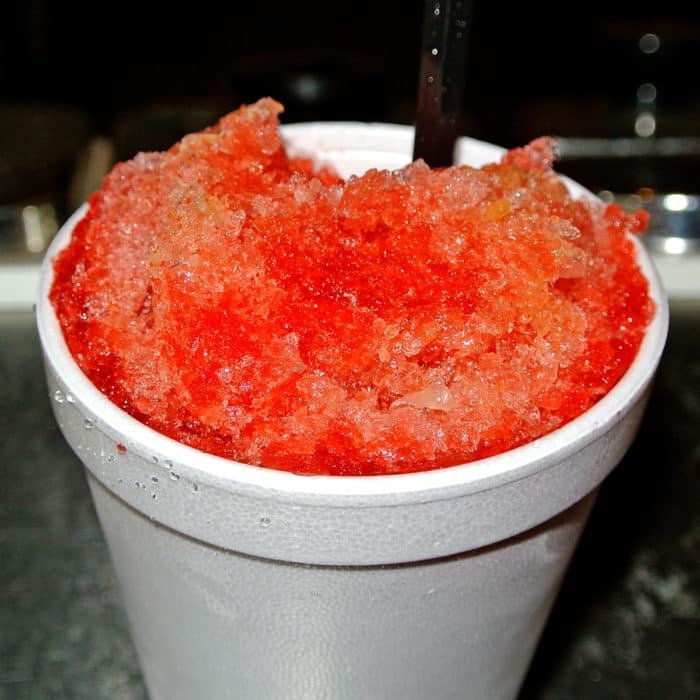 It’s essentially a Mexican version of shaved ice, aka a snow cone, but what sets raspas apart from snow cones is the many strange and interesting flavor varieties and toppings. 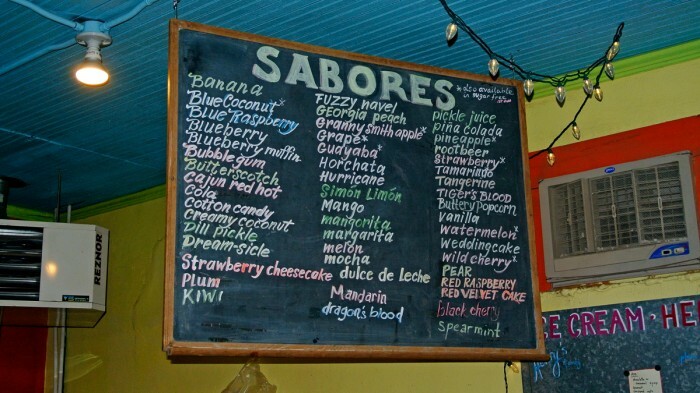 After looking over the chalkboard, we quickly zoned in on our choice, a flavor called guayaba. Guayaba is what you probably know as guava. It’s a bit sweet, but not overwhelmingly so. We read that the ‘chile y limón’ topping was a must so we had that added right on top. This topping really makes it. The guayaba syrup is balanced well by the citrus from the lemon juice and the spicy heat from the chile powder. It’s a very unique treat that’s definitely worth checking out. 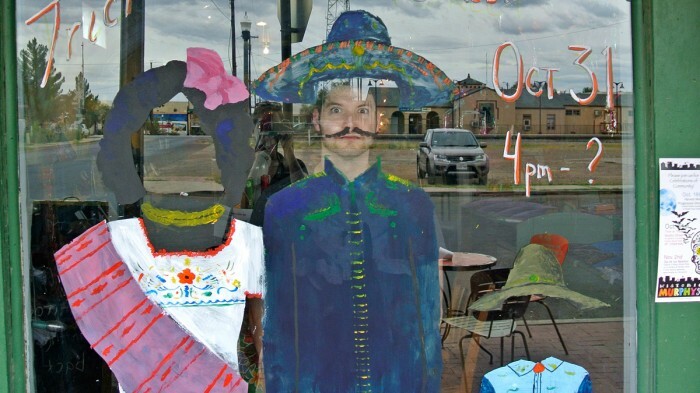 Before heading out, I took advantage of the photo-op painted on their front window. Look ma, I’m Mexican. 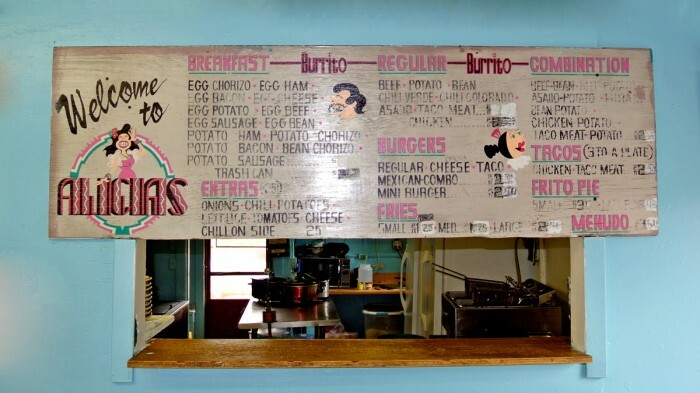 If you are heading to West Texas and are planning on a stop in Alpine, I’d definitely recommend a stop at both Alicia’s for breakfast or lunch for some real deal hearty Mexican breakfast burritos and the Murphy Street Raspa Company for a unique Mexican treat. No matter what base flavor you choose, don’t miss the chile y limón topping. 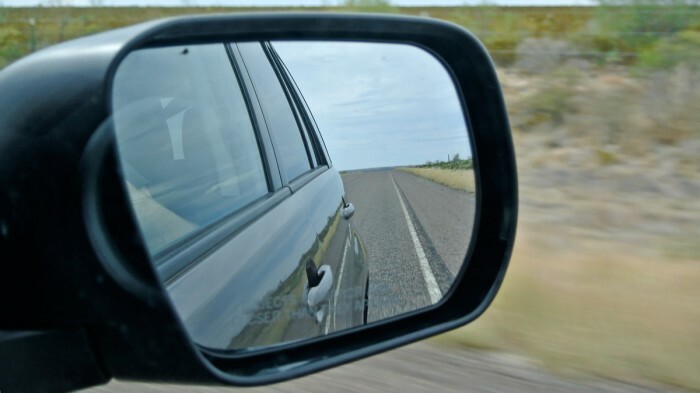 Come back soon for the continuation of my West Texas adventure to Marfa, Terlingua, Big Bend and beyond. Great article, too bad you didn’t stay the night with us, our breakfast is pretty ok too! 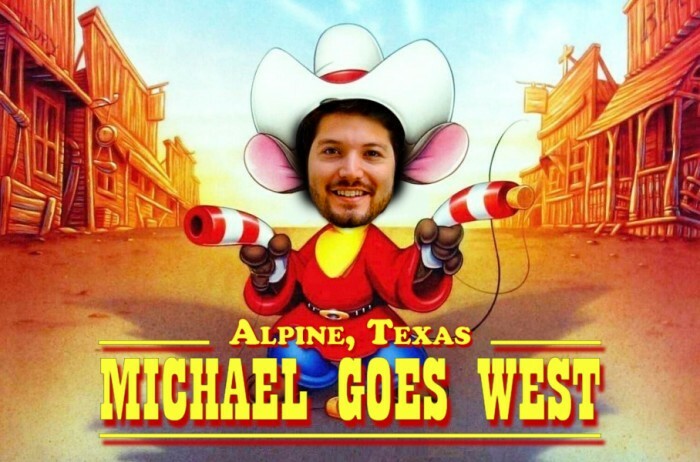 Unfortunately this time we didn’t get to stay in Alpine. 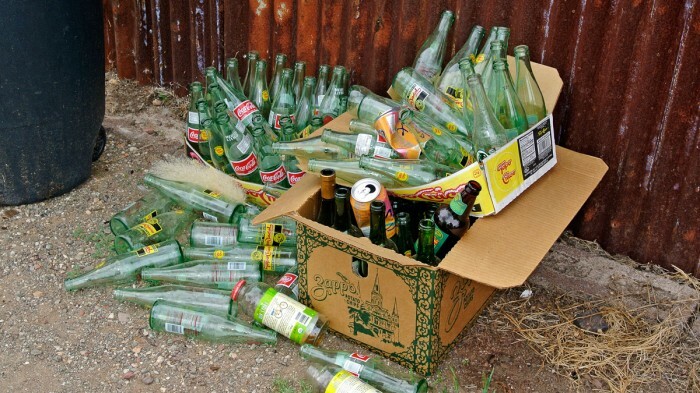 Next time we come through, we’ll have to give the Best Western a try!